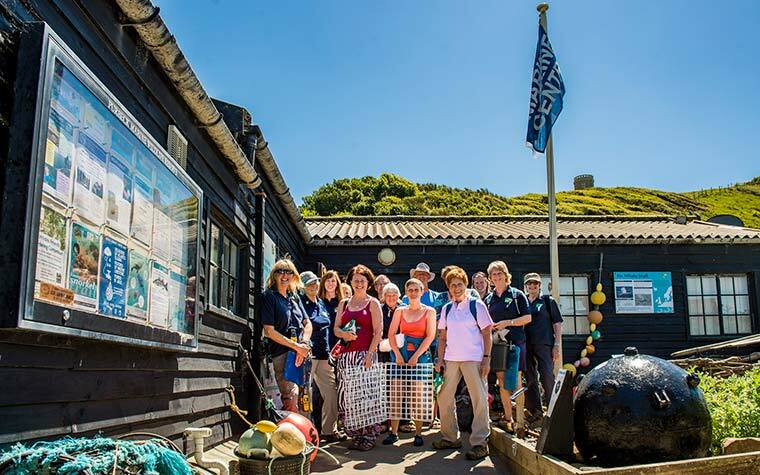 Dorset Wildlife Trust (DWT) is looking for new recruits to join a keen group of volunteers at the Fine Foundation Marine Centre at Kimmeridge, Dorset. DWT is inviting local people who would like to do something valuable for wildlife, and have time to offer on a regular basis, to take part. No expertise is required as all volunteers will be provided with free training to equip them with the basic knowledge and skills necessary. Training will include topics such as the identification of rock pool animals, seaweed identification, marine conservation, and fossils. This is an exciting time to join the team as the Centre is also undergoing a transformation, thanks to funding from the Coastal Communities Fund, which will see new interpretation installed, including a 3D seabed, enabling visitors to explore the seabed in a new and exciting way. The Centre will also be adopting a new name, to be unveiled when it is re-launched in April. Volunteers will work alongside DWT staff to help enthuse visitors about marine wildlife conservation, take part in surveys and research projects, join organised parties carrying out practical tasks and spread the conservation message to school groups and at events taking place in Kimmeridge Bay. By joining the volunteer marine wardens, you could learn valuable new skills and help your local wildlife at the same time!